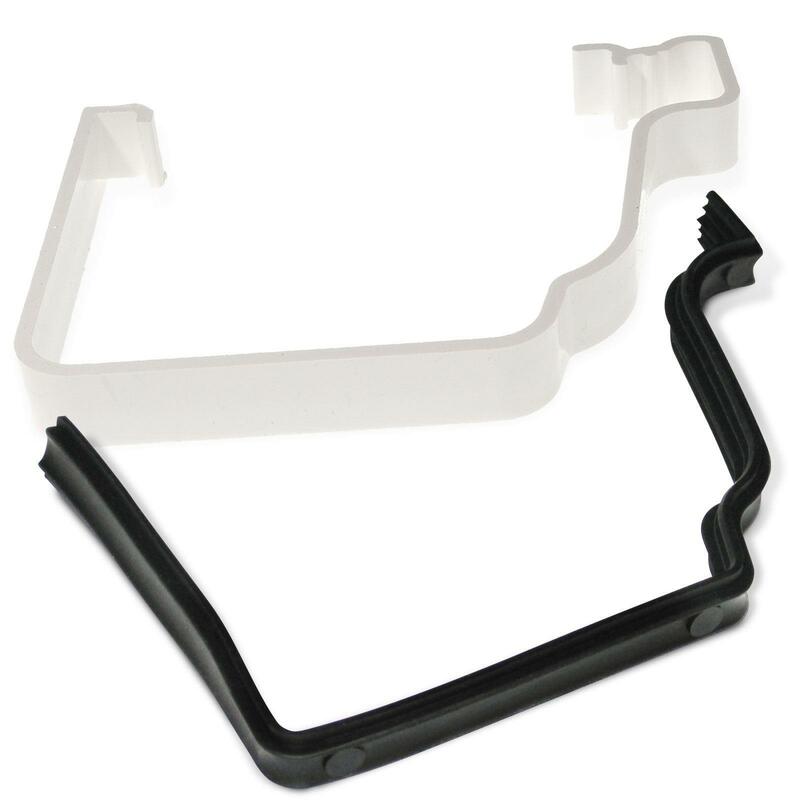 Product information "K2 C8067/C8066 Gutter Clips + Rubber Gaskets (1 Set)"
Say goodbye to leaky gutter joints! Gutter Clip (C8067) and rubber Gasket Seal (C8066) provide a watertight joint between gutter corners, unions and outlets on Ogee profile guttering of K2 conservatory roofs. Clips can weaken over time and rubber gasket seals perish, which results in joints that leak rainwater. Replacing them with these genuine K2 parts is a simple and low-cost solution to the most common cause of leaky guttering. There are many manufacturers that produce gutter with a scolloped edge, known as Ogee profile. Although they may look similar, they're not! These are for K2 only, please compare the sizes provided below to one of your existing clips. If the glazing bar end caps on your roof show the K2 logo, then it's highly likely that the gutter is K2 also and these clips will fit. For use on K2 only - not compatible with Marshall Tufflex Universal System Plus guttering of Wendland and Eurocell conservatories. 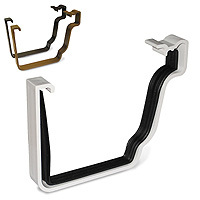 Related links to "K2 C8067/C8066 Gutter Clips + Rubber Gaskets (1 Set)"
Customer review for "K2 C8067/C8066 Gutter Clips + Rubber Gaskets (1 Set)"